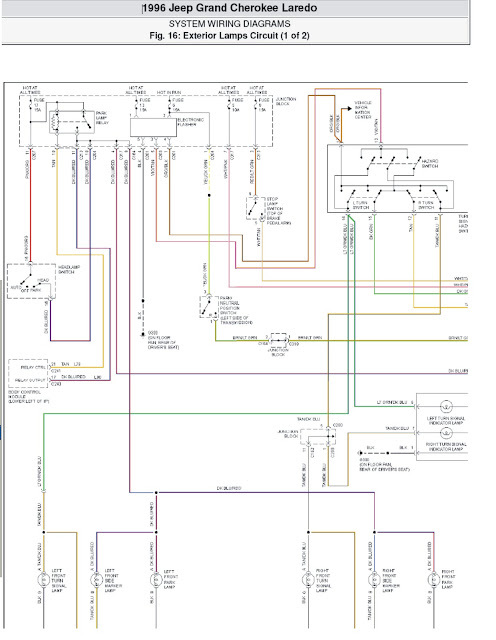 Now, I am posting the schematic wiring diagram for the 1996 Jeep Grand Cherokee Laredo, It is the 1996 Jeep Grand Cherokee Laredo SYSTEM WIRING DIAGRAMS Exterior Lamps Circuit part 1. The second part will be posted right after this. 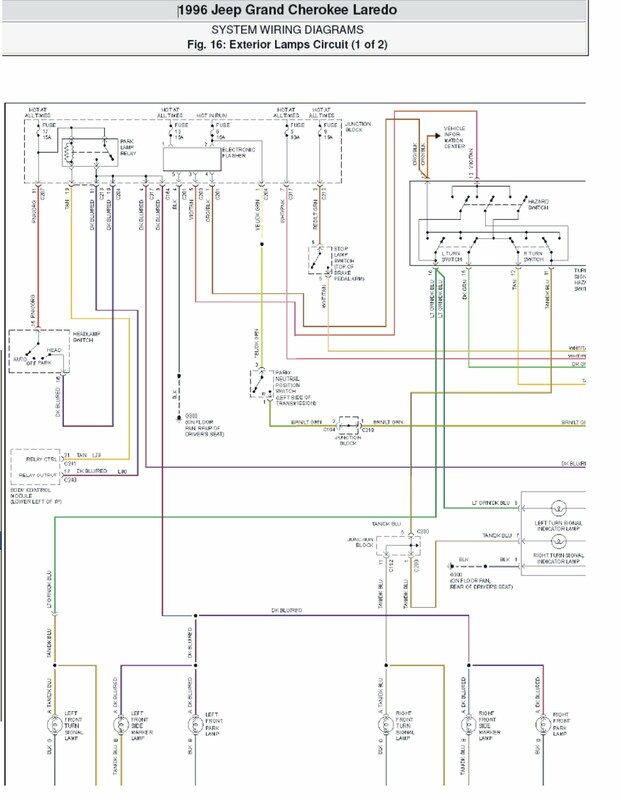 I suggest you to have a good comprehension the schematic diagrams before attempting on your wiring works. In this 1996 Jeep Grand Cherokee Laredo SYSTEM WIRING DIAGRAMS Exterior Lamps Circuit part 1, there are some parts/components that you have to understand, to minimize the mistaken steps in your wiring works. The components including: park lamp relay, electronic flasher, stop lamp switch, head lamp switch, hazard switch, left turn switch, right turn switch, park neutral position switch, turn right hazard switch, body control module, juction block, left and right turn signal indicator lamps, left/right front side marker lamps, left front park lamp, left front turn signal lamp, right front turn signal, right front park lamp.